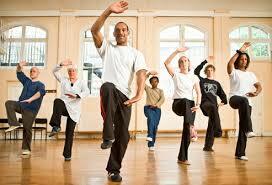 There is a Tai Chi group who meet in The Public Hall, High Street, Gosberton every Tuesday evening at 7.30pm. The cost is £3 per session, no special clothing is required - just loose fitting comfortable clothes and flat shoes. If anyone wants to come to see what we do, there is no obligation to complete a course, but we find that most people realise the benefits of using Tai Chi regularly. We have been meeting since 1997 and some of our members have been with us all that time. Many of our membership are "of a certain age" but that should not deter younger people from coming and learning the benefits that Tai Chi can bring. We do, of course, have to miss the 2nd Tuesday of the month to allow the Women's Institute to use the hall for their meetings.